“RBG” is one of the most inspiring and gently humorous documentary films this ancient reviewer has ever seen. If you thought you knew everything you needed to know about Supreme Court justice Ruth Bader Ginsburg you need to see her story. This is a moving and beautifully artful history of our most passionate advocate for equal rights at the ultimate legal level. 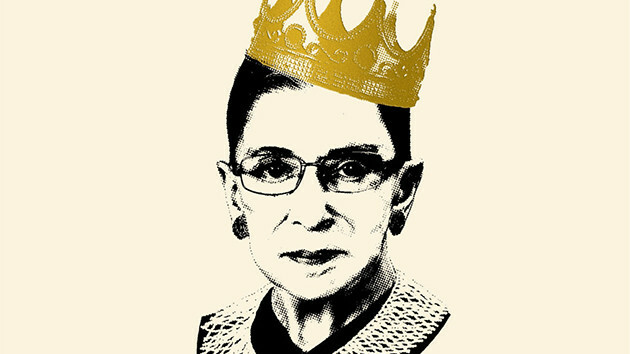 When Justice Ginsburg graduated from law school in the late 50’s, the Brooklyn native could not get a job with a law firm in New York City despite finishing near the top of her class. During the 70’s she and her law partner took on cases challenging outdated laws that discriminated based on gender. They won 5 of those argued before the then all-male Supreme Court. Appointed to the Supreme Court by President Clinton from her position at the time on the D.C. Circuit Court of Appeals, she has written opinions – even in dissent – that have changed laws affecting all of us in ways we don’t even know. The film directed by Julie Cohen and Betsy West expertly blends interviews with Gloria Steinem, Nina Totenberg, colleagues and family, supplemented by old footage – building a portrait of a determined, relentlessly focused and brilliant mind at work.